Now that Thanksgiving is over, the December holidays are already in full swing. I love sending (and receiving) Christmas cards. I make all my cards on Shutterfly. I've used them many times for photo prints, cards, and photo albums and have always had good luck with them. They tend to have a lot of sales frequently so you can always find a good deal. 3. Once you have decided on a design, click on it to view the design. Click Personalize to begin adding your own pictures, text, layout, and color choices. 5. You will see the design you picked populated with your entries from the previous screen. Now you can decide the layout of your card. You can choose from multiple layouts that include any number of photos. Select the layout you want by clicking on it. To add your own photos, click on Add Photos at the bottom of the page. 6. 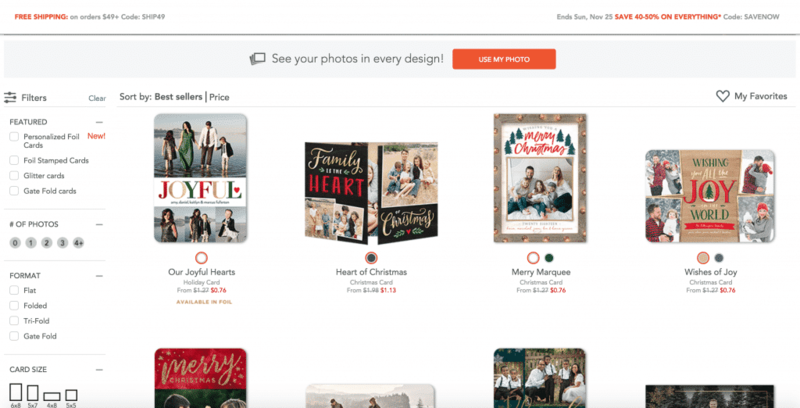 You will be given the option of Uploading photos directly or logging into your Shutterfly account (if you have one). If you don't have one, you can't just click on Upload. If you want to create an account, click on Sign Up and follow those instructions. We are going to click on Upload to upload our photos. 7. Click on Choose Photos. You will be taken to your computer where you store files, photos, etc. Navigate to the desired photo(s) and add. 8. Once added, your photo(s) will appear at the bottom of the screen. Once you have all the photos selected, click the Add button at the bottom of the page. 9. You will be taken back to the Personalization page. Click on the photo and drag it into the card where the arrow is pointing up. 10. The card will populate with the selected photo. 11. Once you are happy with the photo, click the Next button at the top right. You will see the Back side of the card that you can also personalize if you would like to. 12. When you are happy with your personalization of the back of the card, click the Next button at the top right of the screen. You will be taken to envelopes. Decide which color you would like and click Next. 13. You will then be given the option to customize the inside of the envelope with different colors and/or patterns. Select the color/design you would like (if any) and click Next. 14. 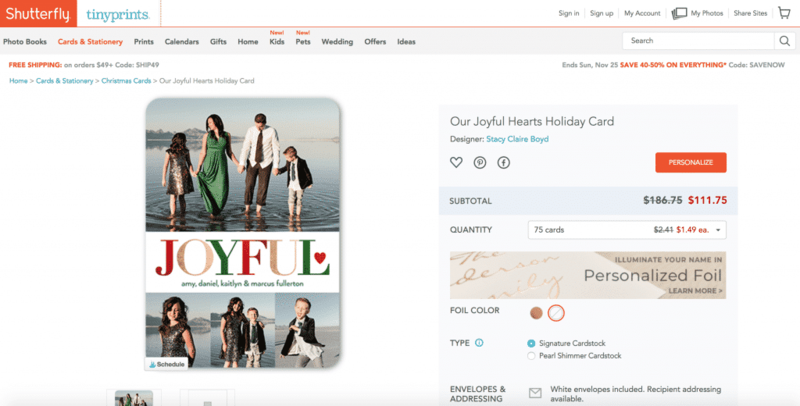 Next you will be given the option for Shutterfly to help with addressing your cards. 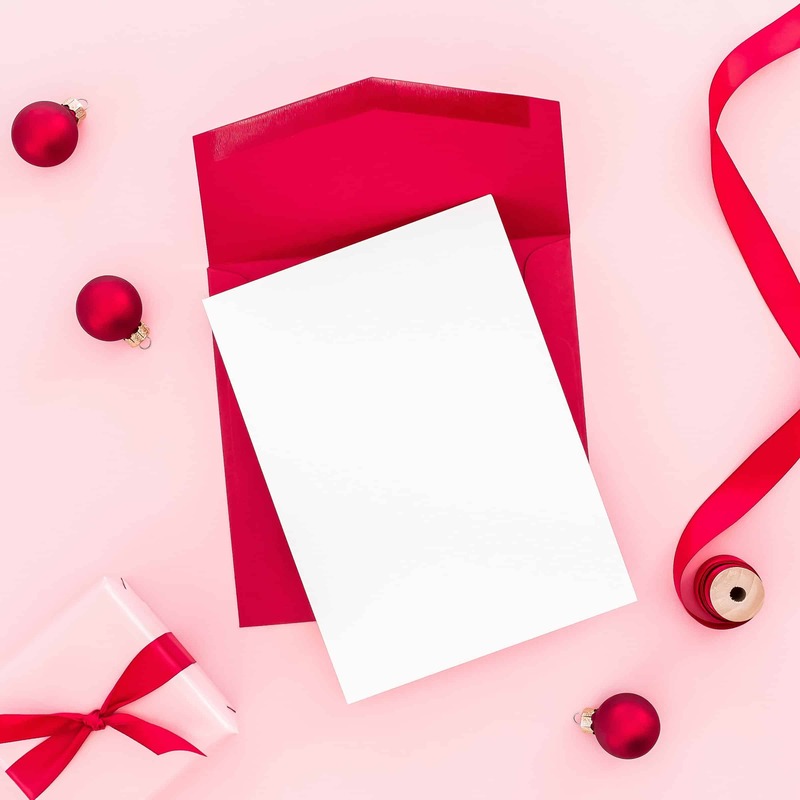 You can opt for this if you'd like, or you can select Blank Envelopes, Add to Cart, and use my method of easily creating address labels. Making your own address labels is very easy. 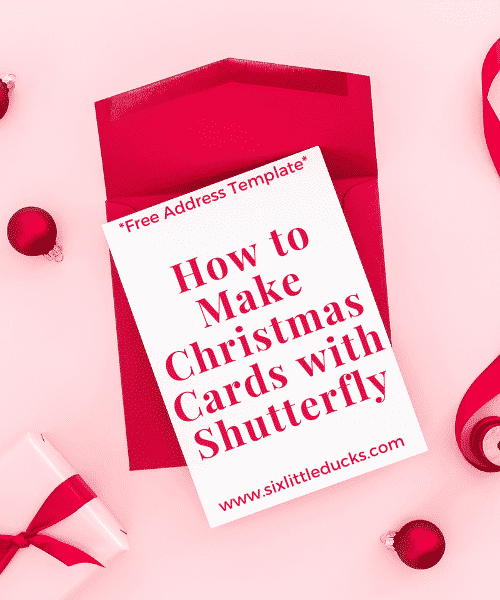 If you have a list of addresses for the people to whom you send Christmas cards, you can simply populate a template I've created in Microsoft Word that will easily print out on clear labels. 2. Once populated, load these Avery Matte Frosted Clear Address Labels into your printer tray. The template is laid out so that it matches up to the size of these labels. 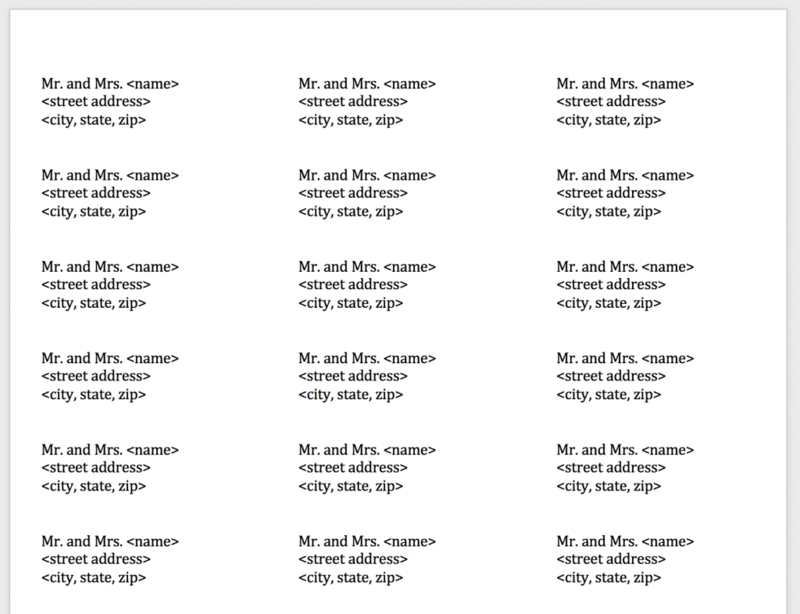 Your addresses will print on the labels as spaced. Voila! Stick the clear labels to the envelopes, attach appropriate postage, seal, and send! You've just saved a lot of time not having to hand write addresses. Another bonus, you now have a template for all of your Christmas card recipients for next year! 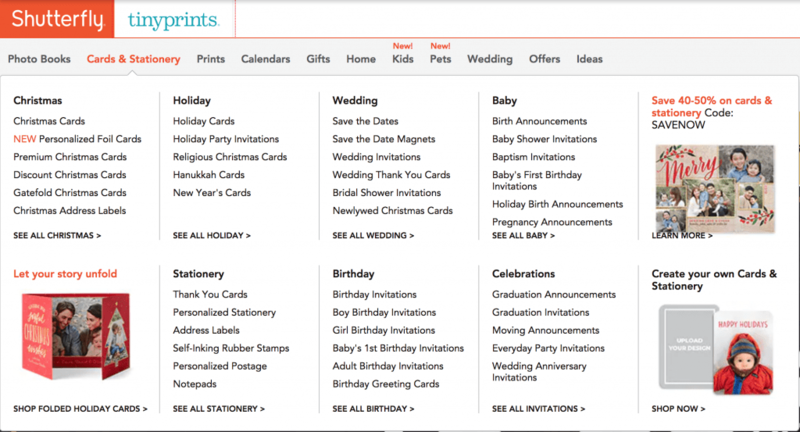 Want the template for the address labels? Download it below!